In October 2003, a leading finance magazine published an upbeat interview with the pensions manager of Kodak’s £800 million UK pension scheme, in which he disclosed details of the plan’s new and daring asset strategy. The scheme, he explained, had invested 35% of its assets across 40 hedge funds with just 2% remaining in equities. It was a new and different approach, with the ambitious aim of out-performing run-of-the-mill, bog standard, equities “by around 2%”. In fact, the whole portfolio had been carefully set up to be diversified and intelligent, seeking additional asset returns. In the beginning, it was a picture of success: “Kodak produced a positive return of 12.1% making it the best UK scheme within the WM2000. Last year it produced a top-decile performance by restricting its losses to -3% against a peer group average of -14%” said the article. In 2004, the UK pension scheme’s property portfolio also duly appreciated in value. Back then, it is fair to say, it was all looking good. Today, however, as the embattled US Kodak parent finds itself in the dark room of Chapter 11 insolvency, its badly under-funded UK pension scheme is learning a bitterly painful lesson. For whilst Kodak’s US high command insists that it is “business as usual” in Europe, the glaring harsh reality is that it is highly uncertain, to say the least, whether the UK pension plan will find the £440 million deficit it requires in order to make all the payments due to its present and future pensioners over the remaining life of the scheme. Kodak UK is unlikely to have sufficiently deep pockets. “We are not convinced that future equity returns would generate enough alpha to cover liabilities. Instead, we have taken a diversified approach.” The pension scheme’s management team was plainly fully aware of the risk of unfunded liabilities and believed it had come up with a game plan. No. 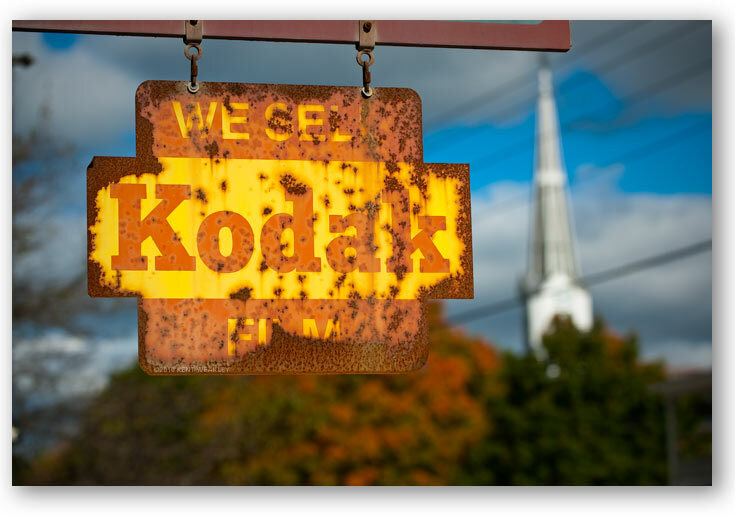 The tragedy for Kodak is not that the trustees and pension plan managers et al failed to think about the problem. It was, quite simply, that they failed to implement the correct solution. By way of evidence, and in contrast, just eight weeks later, in early December 2003, a similar sized UK pension plan, Friends Provident Pension Scheme, didsuccessfully implement a hedge and, in so doing, protected the FP Scheme from its principal predator: the Collapsing Real Yield (CRY!). The CRY! is a savage beast of terrifying ferocity. It has ripped (and is currently ripping) the beating hearts out of defined benefit pension plans around the globe, pushed pensioners by their hundreds of thousands closer to the cliff-edge of old age penury, and stolen the golden years from an entire cohort of the vulnerable elderly. The CRY! is ruthless. It propels pension liabilities skywards without a second thought. It drives the present value of pension plan obligations up into the stratosphere, miles beyond the reach of almost any asset performance. It draws no distinction between private sector and public sector workers. Between the years of 2003 and 2012 (present day) the CRY! has eviscerated pension plans, brutally exposing those who clung doggedly to the belief that the CRY! was a chimera, a bubble, a mirage, and therefore failed to fight fire with fire. The CRY! is now exacting a terrible price. Kodak, tragically, fell into that category. It is a reasonable assumption that in 2003 their pension scheme supremos in Hemel Hempstead (UK) and Rochester (US), considered the risk of the CRY! but, along with many other pension plans, it seems they did not implement the anti-CRY! solution. Risk One: The risk of the Collapsing Real Yield! That is, the risk of sharply fallinglong term interest rates, coupled with simultaneous rising inflation. This toxic combination would cause Kodak’s pension liabilities to rise uncontrollably; if the CRY! came to pass, the pension plan would be in serious trouble. Risk Two: The risk of their newly diversified “growth” assets failing to perform the heroic growth targets demanded of them. This would result in insufficient assets to match the CRY!-ravaged liabilities. Risk Three: The risk of Kodak (UK) pension scheme’s sponsoring corporate far away in Rochester, NY, becoming insolvent and leaving the UK pension plan with no external means of support. If, in the nightmare scenario, Risks One, Two and Three allmaterialised, the pension plan would be cast headlong into the UK’s Pension Protection Fund along with an unquantifiable number of other failed pension plans. Given those risks, it would have been prudent to comprehensively hedge the scheme. But from the size of the deficit today, the signs are that they did not. My hunch is that in the final analysis, Kodak just did not believe that the Collapsing Real Yield would materialise. Further, they could not conceive that their carefully-crafted diversified alpha-seeking asset strategy would be insufficient to meet the onslaught of the CRY!. Nor did they anticipate the US mothership becoming insolvent mid-way through its agreed pension contribution schedule. Certainly, they never dreamed for a second that ALL three events would occur. But they have. Disastrously for Kodak, Risks One and Two have been materialising ever since that interview back in 2003. The Kodak UK pension plan’s liabilities are now a stunning £1.6 billion whilst the assets are, apparently, a mere £1.2 billion. The CRY! helped to wipe out £440m(!) of assets. Risk Three materialised last Thursday. So what are the key lessons from all this? Lesson One: The Sponsoring Corporate canbecome insolvent. This can occur despite oft- repeated assurances to the contrary from the sponsoring corporate. Super-advanced technologyis obsoletizing (new word) established iconic platforms and processes. Kodak somehow missed the digital camera revolution (despite having invented the digital camera) and got blown away by more nimble competitors. They’re not the first and they won’t be the last. Lesson Two: Attempting to predict the markets and betting the farm that killer risks (such as the CRY!) won’t materialise, is a costly error. If your assumptions, predictions, prognostications and assorted gambles turn out to be wrong, there will be irreversible problems for the pension plan. Instead, you should implement a risk managementstrategy. There is no alternative. Lesson Three:It is mystifying why, although Parliamentary and Congressional hearingsare routinely held to consider the sudden collapse of other financial organisations, pension plans that fail are assumed to be “victims of a series of unfortunate events”. Why is no-one ever held accountable when a pension plan ends up with materially fewer assets than liabilities and a bust sponsor? Who was asleep at the wheel? What was the advisors’ advice? Where was the Kodak global pensions risk management strategy? Why did the Corporate not take action earlier? What did it choose to spend its cash on instead? Why did the pension scheme’s trustees not bang harder on the CEO’s door whilst there was still money in the pot? What was the Pensions Regulator doing? In short: WHY DID THIS HAPPEN?? Answers are important. Otherwise – watch this space – there will be multiple digital copies of this Kodak Moment as the same sequence of events plays out for pension plans and their sponsoring corporates across multiple industries in multiple lands. Dawid,your piece is excellent. For at least 20 years around 1980 (or before) to 2000, Kodak Ltd took a "pension holiday" most years claiming that they had invested so well,they did not have to pay the Employer's contribution to the Scheme which was part of the Employees' remuneration when all said and done. They did however take the Employee contribution every month without fail!